By 2050, two out of every three people are likely to be living in cities or other urban centres, according to a new United Nations report, highlighting the need for more sustainable urban planning and public services. Owing to both demographic shifts and overall population growth, that means that around 2.5 billion people could be added to urban areas by the middle of the century, predicts the UN Department of Economic and Social Affairs (DESA). Most of the increase is expected to be highly-concentrated in just a handful of countries. “Together, India, China and Nigeria will account for 35 per cent of the projected growth of the world’s urban population between 2018 and 2050…It is projected that India will have added 416 million urban dwellers, China 255 million and Nigeria 189 million,” said DESA, announcing the findings on Wednesday. The report also estimates that by 2030, the world could have 43 so-called megacities (up from 31 today, according to reports) – those with more than 10 million inhabitants – most of them in developing countries. By 2028, the Indian capital, New Delhi, is projected to become the most populous city on the planet. Currently, Tokyo is the world’s largest, with an agglomeration of 37 million inhabitants, followed by New Delhi (29 million), and Shanghai (26 million). Mexico City and São Paulo, come next; each with around 22 million inhabitants. These swelling populations will place extra demands on both resources and services in urban areas, notes the report. 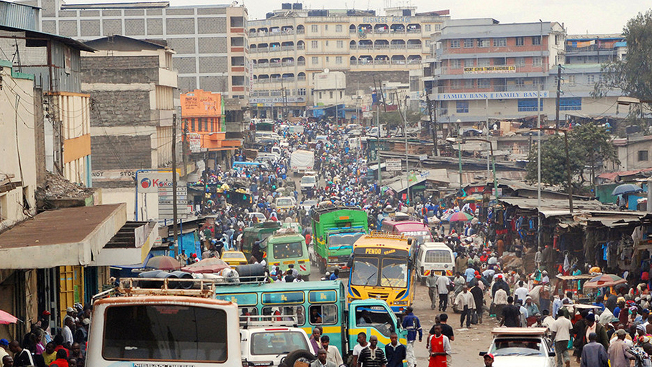 “Many countries will face challenges in meeting the needs of their growing urban populations, including for housing, transportation, energy systems and other infrastructure; as well as for employment and basic services such as education and health care,” said DESA, urging governments adopt better integrated policies to improve the lives of both urban and rural dwellers.